Blouse by RIANI. Mix and match essential, eye-catcher and fashion star! 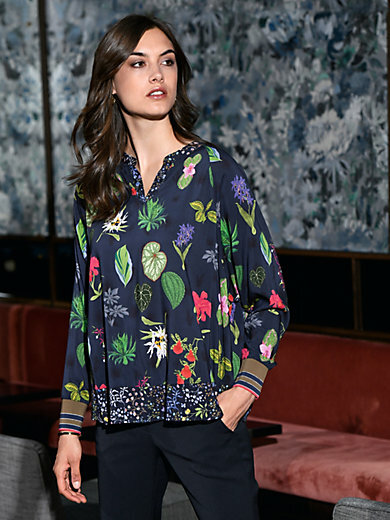 A designer style blouse in wide, loosely falling shape with detailed floral and leaf motifs, a sewn-on hem with a pattern of scattered flowers and sleeves with striped knitted cuffs. 100% viscose. Length approx. 26ins. The blouse is machine washable.